Fiona grew up in New Lambton and graduated in Veterinary Science at Sydney University in 1983. After a year in dairy practice in Tasmania she returned to the Hunter Valley, initially to work in mixed practice and later a stint in research which led to the award of a PhD in Immunology in 1990. The highlight of her research in mucosal immunology was to collect a group of saleyard horses to test an oral vaccine for strangles. 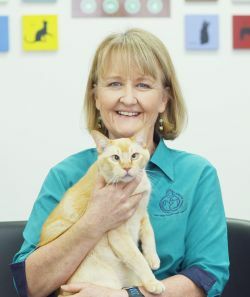 A love for general practice brought Fiona back to New Lambton where she started up “Fiona’s Vetmobile” and subsequently New Lambton Veterinary Clinic in early 2003. Fiona has a passion for rowing and most early mornings will see her either down on Throsby Creek training for the next regatta, or working out with friends at her local bootcamp. 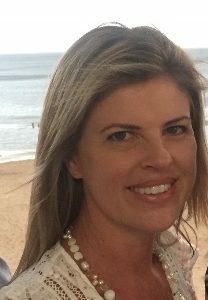 Fiona also loves snow ski-ing and adventure travel, recently climbed Mt Kilimanjaro with her daughter, and has any number of biking and hiking plans to fit into the next couple of decades! She can be found at the clinic on most days. 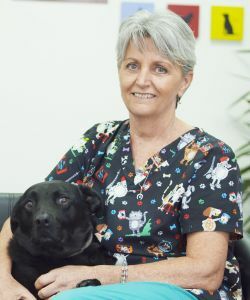 Sue is a Queensland graduate who came to Newcastle as a newly qualified veterinarian in the late 80’s. Here she soon met Damien her husband and after travelling to the UK for both to gain invaluable experience in their chosen careers they returned to New Lambton in the early 90’s and have been a part of the community since. Two now adult children have presented the opportunity to experience a varied menagerie from fish and rats to cats and dogs. Sue’s focus these days is continuing education and fostering cultural exchange through hosting international students and travelling the world on foot herself. 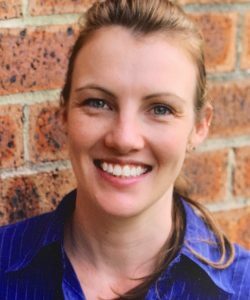 Josie joined us in January 2019 after five years in mixed practice in Narrabri. She has a special interest in surgery and imaging – both ultrasound and X-ray but it was her interest in horses that led to a study on the efficacy of Manuka honey in wound healing in these beautiful animals and she graduated with Honours from the University of Sydney in 2013. Josie recently married Marcel and luckily for us they opted for a coastal change last year to be closer to their families. Marcel is also a veterinarian and together with Zoe their big dog they enjoy going to the beach, bush walking and cooking! Josie is a calm considered and very talented addition to our team and we can’t wait for you all to meet her! Victoria lived in the Lake Macquarie area for most of her childhood before moving to Sydney with family. She graduated with a Bachelor of Veterinary Science from the University of Sydney in 2005 and first met Fiona during a practical rotation in her final year! 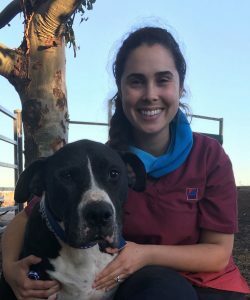 Victoria worked in several busy small animal practices across Western Sydney, including a stint working in an animal shelter before moving to Newcastle with her husband and growing family in 2017. She has interests in internal medicine, dermatology and dentistry and completed a Masters in Veterinary Studies (Small Animal Practice) in 2013. When not at work, Victoria is kept busy by her three young children and when she has spare time enjoy baking, reading and gardening. 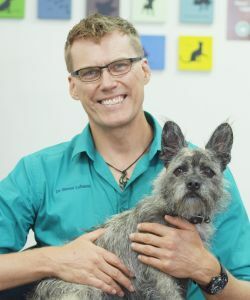 Simon grew up in Newcastle and received his Bachelor of Veterinary Science from the University of Sydney in 2002 after a stint as a language student and some time spent living in Scandinavia and then Japan – he is actually fluent in five languages! He now lives in Cooks Hill and when not at work can be found with equal likelihood with his surfboard, yoga mat or mountain bike. You will love Simon’s gentle thoughtful approach. Simon brings to the practice a strong focus on surgery, both orthopaedics and soft tissue work, and a genuine love of his patients, and usually their owners too! Sim has returned to New Lambton Veterinary Clinic after helping Fiona get the clinic started way back in 2003 as our very first (and at that time only!) Veterinary Nurse. Her time away has allowed her to amass a number of qualifications including a degree in Nutritional Medicine and also qualifications in Practice Management, both of which are invaluable in her roles of Receptionist and Team Adviser. Sim is a dedicated member of our team at New Lambton Veterinary Clinic and is aware of how important team work is and how it is played out within the veterinary practice. You will catch her at the front desk on reception and she is always willing to answer any questions you may have with regards to your pet’s health and wellbeing. Sim has a passion for both animals and complementary medicine. She lives in Bear Beach, loves swimming, her cat “Gus” and bunny “Stewie”, Yoga and taking her 7 year old boy Jett fishing and most of all she loves cooking! A passion for animals and education has led Genelle into many and varied fields including being a Ranger, an Educator, Counsellor and at Taronga Zoo where she worked with the Free Flight Bird Show and Marine Mammal trainers, seeing the amazing outcomes of using positive methods in animal training. 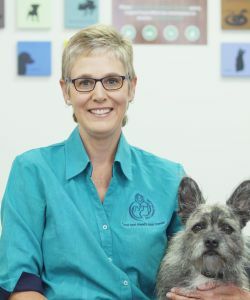 As a qualified Animal Behaviourist Genelle enjoys working with people to build a trusting relationship with their pet and seeing the benefits that follow in training and behaviour. 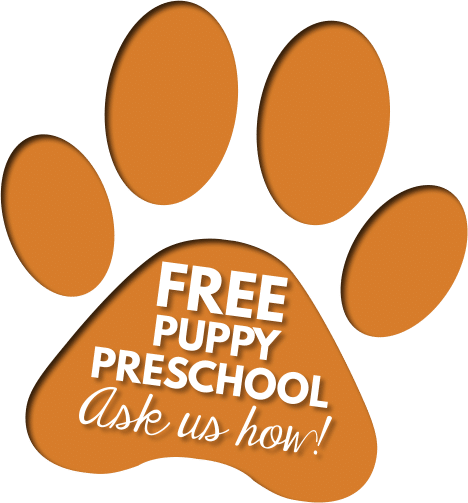 Every animal is an individual and using a force-free, positive approach Genelle takes time to get to know you and your pet, working alongside you to understand your pet and providing you with skills to help them be their best. When not working with other people’s pets Genelle loves spending time with her independently minded terrier Douglas, who regularly tests her skills! In January 2019 Genelle joined us as part time receptionist, value adding to our clinic immensely. You will find her calm presence at the front desk every Tuesday and Wednesday! Carlie has been with New Lambton Veterinary Clinic for 6 years. She graduated in Veterinary nursing at Kurri Kurri TAFE three years ago and with hard work and determination became one of our senior veterinary nurses and if that was not enough, stepped into the role of Head Nurse in the middle of 2018, a role she performs with grace and style – as well as a lot of expertise. She has two British Blue cats, Tinx and Lewis, an Aussie bulldog called Boomer, and is also our reptile handling nurse, having had a number of snake pets while she was growing up. “My lifelong goal has been to work with animals and I really could not imagine doing anything else” says Carlie. “I work at the clinic most days so I look forward to seeing you all”. Marg has been a long term friend of New Lambton Veterinary Clinic. 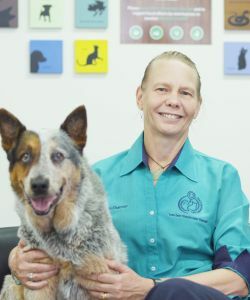 With a life time love of horses, Marg started veterinary nursing soon after she left High School, and except for a brief stint with HAPS in blood collection, she has worked in the industry, either nursing or in pharmaceutical supplies, ever since. Marg lives in Lakelands with husband Trevor . When they are not entertaining friends, neighbours or extended family Marg and Trev are putting finishing touches on to their new home, or planning their next overseas holiday. Pets are Meika the Staffy x Labrador and Alvin the Staffy. Vivienne moved to Newcastle from the northern beaches of Sydney with husband Toby, baby girl Cat and aging felines Tag and Abagail in 2016. Ren the Simpson’s python makes up their little family. 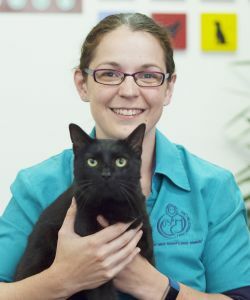 Vivienne gained extensive veterinary nursing experience in surgery and medicine while working in a busy city clinic and she has a particular interest in wildlife, having graduated in Zoology at James Cook University in 2006. In particular Vivienne has a passion for flying foxes and microbats. Viv works Mondays on reception and Tuesdays and Fridays caring for your pets as one of our Senior Veterinary Nurses. If you haven’t already met her, you should! !